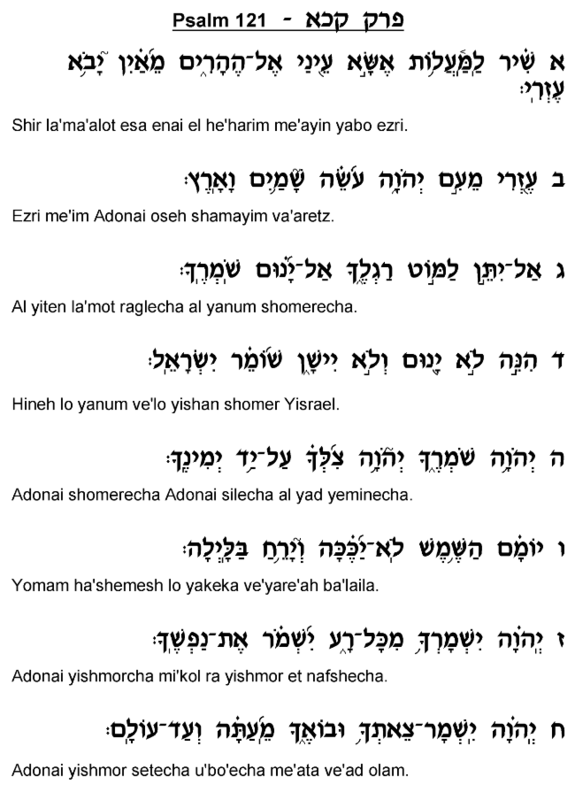 Psalm 121, which ranks among the more famous chapters of Tehillim, is recited in Sephardic communities each evening during the Arvit service, and is also customarily recited during any time of danger or potentially dangerous situation, including long trips. 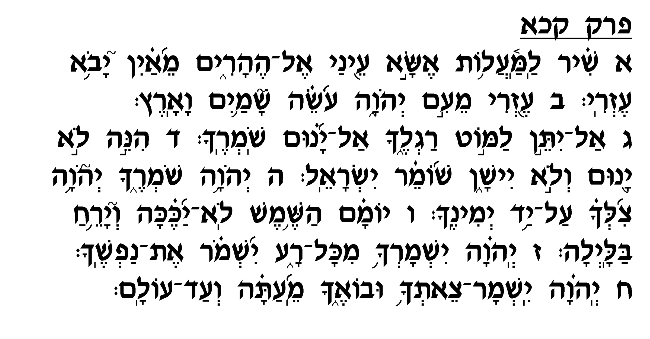 Indeed, the opening verses vividly capture the Jewish perspective on how to respond during times of trouble: "I raise my eyes to the mountains – from where shall my help come? My help is from God…" The message of this chapter is, simply enough, that one should turn only to God for assistance. Rather than look around "to the mountains" in search of help, one need only to lift his eyes to his Father in heaven and beseech Him for protection. This Psalm mentions a number of aspects of God's protection that set it fundamentally apart from the protection that human beings can afford. For one thing, He is the "Maker of heaven and earth" (verse 2) and thus has unlimited power over the world, such that He is capable of rescuing a person from any predicament. 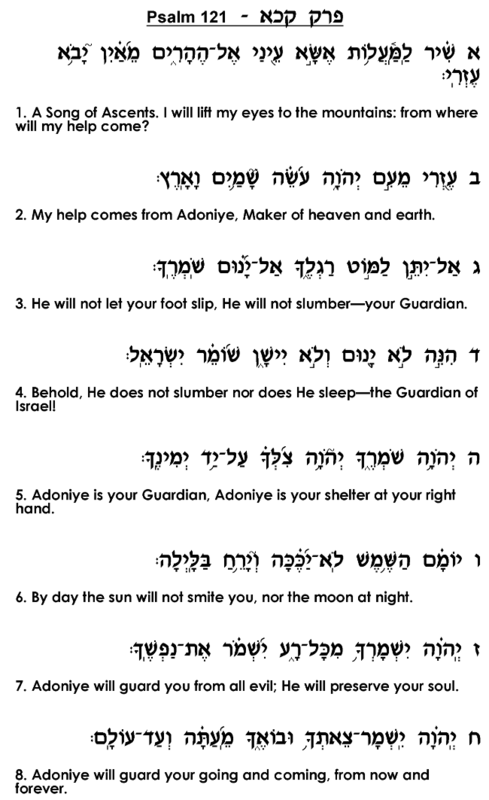 Additionally, the Almighty "neither sleeps nor slumbers" (verse 4); human guards are only as effective as their limited supply of strength and stamina, while the "Guardian of Israel" offers endless protection. Similarly, God can protect "from now and forever" (verse 8), as opposed to human guardians whose physical strength gradually declines until they eventually pass on. God's protection has no limits in time or substance, and it is thus His protection one should endeavor to invoke when facing danger or crisis.